Professional holiday lighting service is a perfect fit for companies looking to keep their employees busy during the slower months or to generate extra revenue at the end of the year. 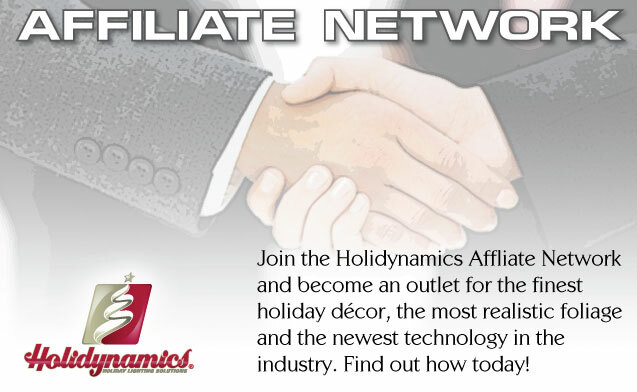 Holidynamics affiliate network is designed to help companies establish a profitable revenue stream during the holiday decorating season. Holidynamics uses a proven system that can help you gain market share in your region. This system is still being practiced by Holidynamics in Omaha, Nebraska during the Christmas lighting season. Why let other companies contact your accounts about professional holiday decorating service? Capture your client’s needs year round by adding Holiday lighting as a service line. Many common industries have multiple service lines to help diversify their company, some of them include landscape lighting, landscape design, irrigation, window cleaners, painters, roofers and more. 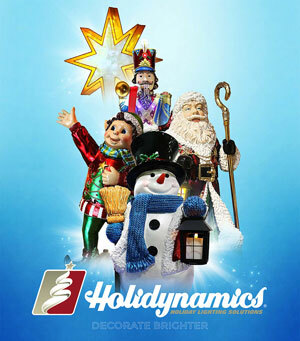 Holidynamics is looking for motivated business people who want to be part of the growing holiday lighting industry. Holidynamics is an ideal opportunity for business owners who recognize the incredible potential for profits in the Holiday decorating industry. Becoming a professional holiday lighting expert is easy with Holidynamics training program, from classroom and webinar training. Companies will be given the proper training to operate a highly successful and profitable business. By teaming with a respected business whose services are in high demand, you can quickly become #1 in your market and a leader in your community. With Holidynamics, you will get a top-notch marketing program designed to work for you before the lights even go up. The Holidynamics system empowers you, the business owner, to generate wealth, capture marketing share and experience the personal success that comes with running your own holiday lighting company. Offering residential and commercial holiday decorating will expand other business opportunities in your other service lines. Holidynamics provides a program for successful customer retention with a rate near 95%, so you don’t have to start the process over each year. The vast majority of Holidynamics clients renew their services, to allow our member’s efforts to be focused on new growth. By allowing our members to focus on new growth, Holidynamics program helps you add a business that provides reliable residual income at the end of the year. The main reason is our staff. We have seasoned personnel on hand that have owned their own holiday lighting businesses. Why do it alone when you can take the opportunity to learn from the best? Our staff is here to answer any questions you may have from estimating to installing. Let us be the help-line during the holiday lighting season for your Christmas decorating season!